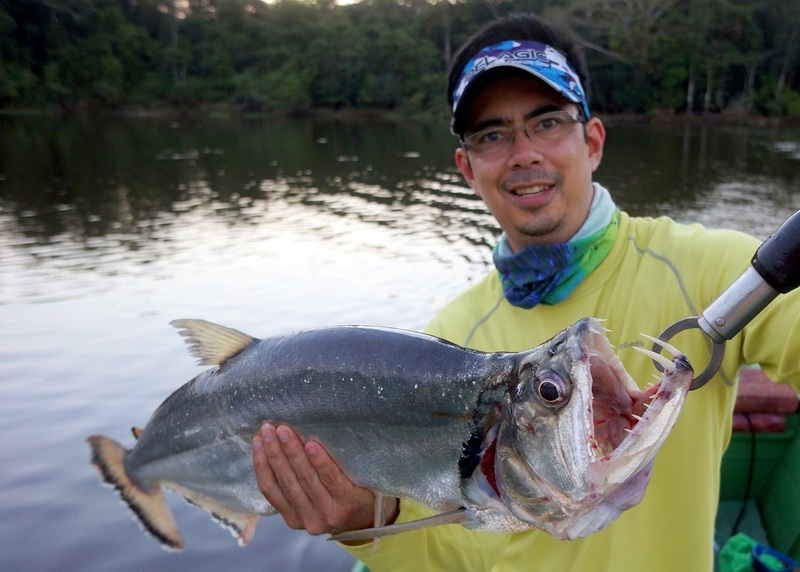 Payara are a fearsome-looking and superb gamefish found in various parts of the Amazon basin. Their most notable feature is their large two lower front teeth which can get up to 4 inches long. They also have a number of other sharp teeth in their bony mouth. They kind of look like a Salmon with some sort of alien head stuck on them. 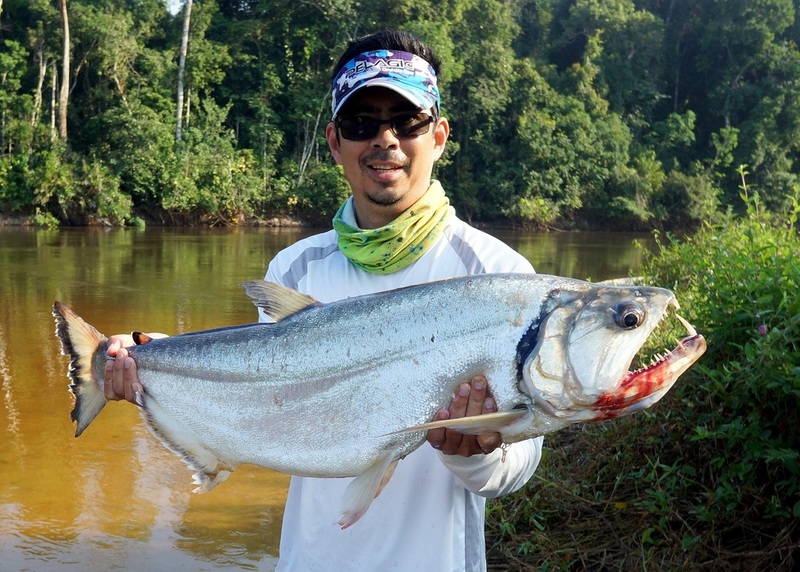 Payara supposedly reach sizes of up to 50lbs although the current all-tackle record is 39lbs. Payara live in or near faster currents, unlike Peacock Bass and most other Amazon species. They have good eyesight and will often turn away from lures at the last moment. Low-light times such as morning and late afternoon are the best times to try for them. Their strike can be very quick and they can drop your lure or fly in an instant if you are not ready for it. 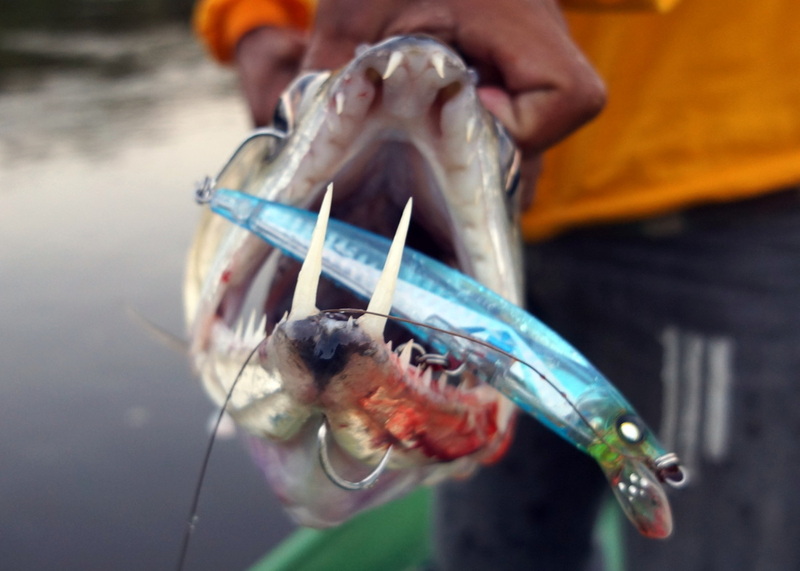 Their bony mouth is hard to hook, so repeated strong hooksets are a must. Once hooked, they make powerful runs and often leap to try to throw the hook. I have heard that Payara taste ok but these fantastic fish should be released whenever possible. Payara can be landed on the heavier tackle used for Peacock Bass. You need a fairly stiff rod to get that hookset you want, otherwise you will lose quite a few. Braided line helps with hooksets and a wire leader us a must. 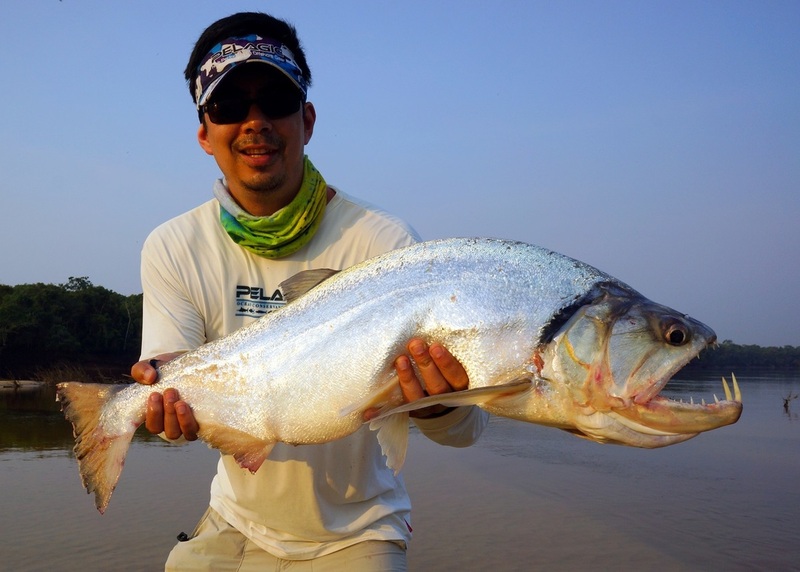 Spinning, baitcasting, or fly tackle will all take Payara. Click here for tackle recommendations. Payara like things retrieved fairly rapidly, whether lure or bait. They are often found at bends in the river where the current is a little faster. They can be found in the faster current or near it. They often give away their location by rolling or busting on bait. When you find active fish like that, stay in that spot and work it over until you find something that works. Payara feed on a number of baitfish, and I imagine most fish found in their area that are small enough to get in their mouths would work. They are only found in the Amazon. 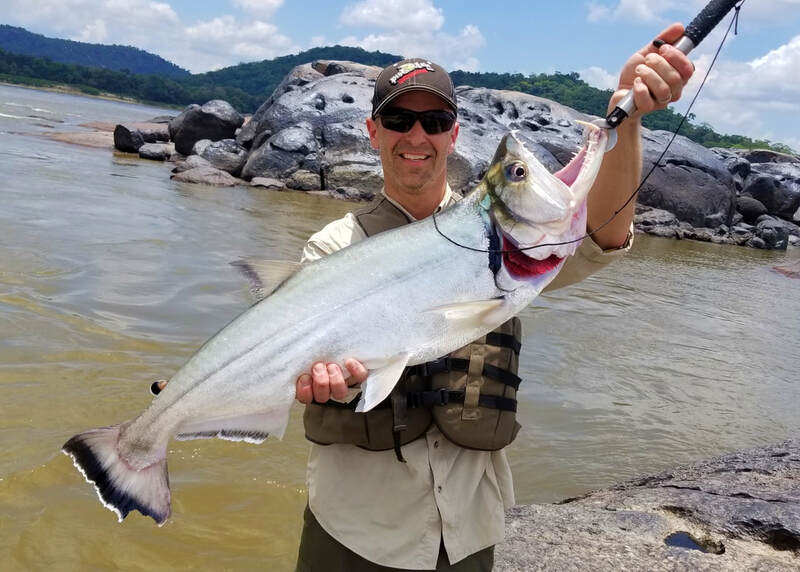 Venezuela has historically had the best fishery for big ones at Uraima Falls but that has become a much dicier destination due to safety concerns. 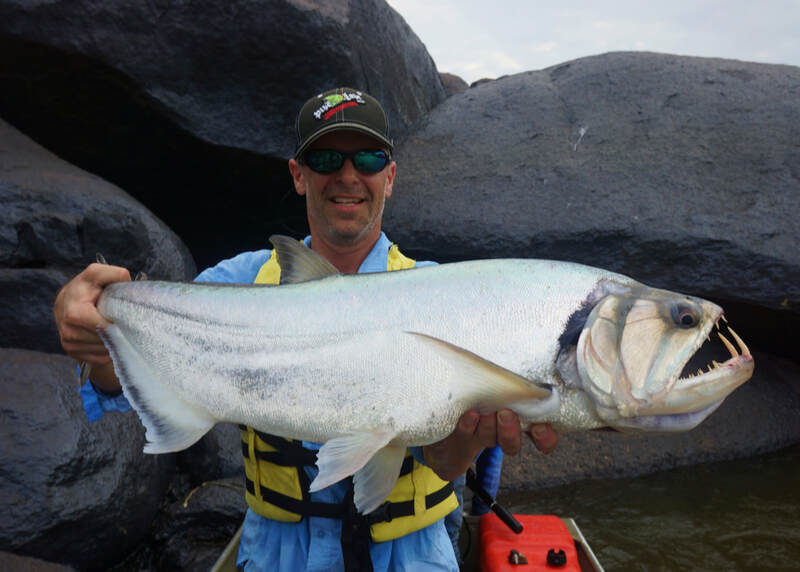 Columbia, Peru, and Bolivia all have good fisheries, and Bolivia is where I caught the fish pictured.